This unused postcard with no identifying information has an AZO stamp box on the back with four upward-pointing triangles. That dates the card to sometime between 1904 and 1918. 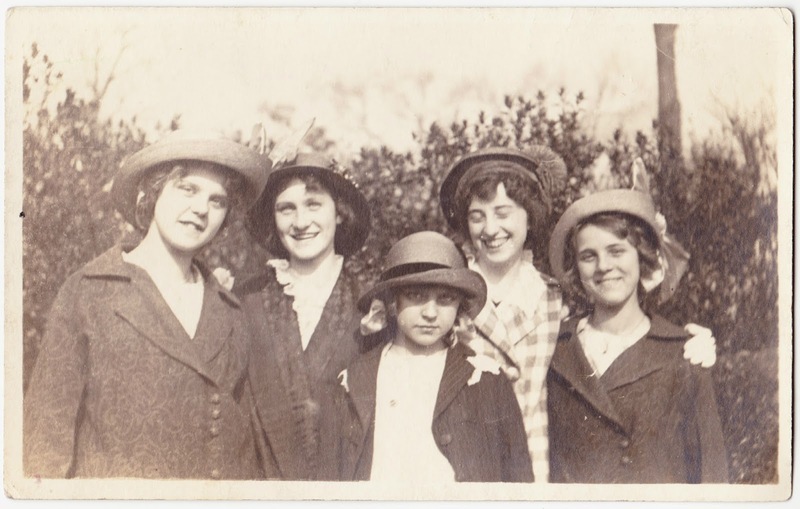 We don't have the slightest clue who these five young women are or what the occasion was for the group photo. Four of them seem quite happy. And then there's the one in the middle, who's the shortest and/or youngest. Her look is ... different. I can't quite put my finger on what her mindset was as the photograph was taken. Maybe she was grumpy because her favorite baseball team lost that day. 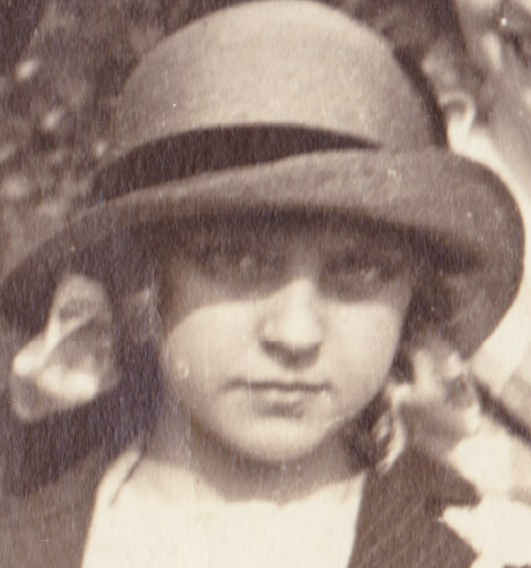 Maybe she was just as cheery as the others, but liked to exude an air of mystery (although I doubt she ever imagined that mystery would still be pondered 100+ years later.) What do you think? Her coat and hat don't appear to fit well and could be hand-me-downs. Maybe that's why she's mad.